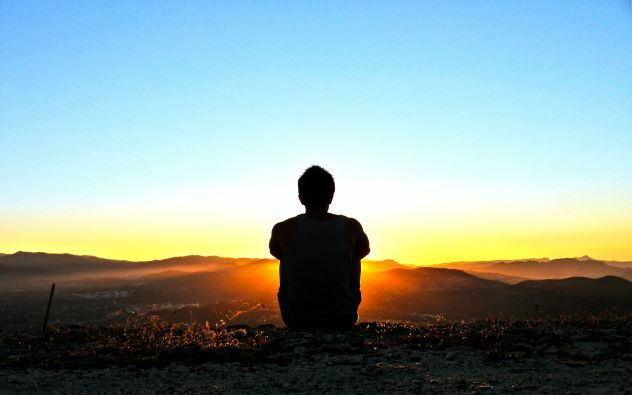 A former rad tech and radiology administrator reflects on the most impactful advancements in medical imaging. 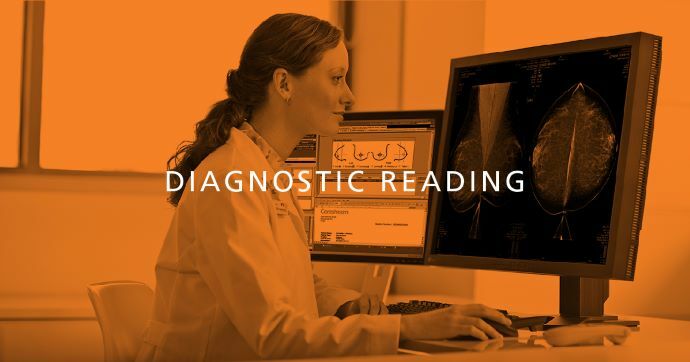 As rad techs, radiologists, and radiographers carry out their day-to-day work in diagnostic imaging, it’s easy to take technology advancements for granted. 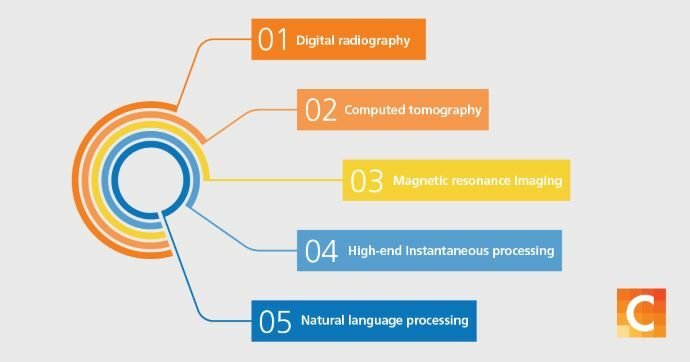 The 5 most significant advances in medical imaging technology. The transformation to digital imaging (CR then DR) – and all that it enables – forever changed medical imaging. The technology has increased efficiency and, more importantly, requires less dose to the patient than conventional radiography. My first experience in diagnostic imaging was with traditional X-rays when I was a radiology tech at a field hospital in Vietnam*. The volume of casualties arriving in the field hospital was staggering. We had to image mass casualties from head to toe using a 300 MA X-ray machine with long exposures. We had no time for lead aprons or dosimetry badges, and we took few precautions against exposure. Twenty or more casualties would be lined up at a time, and we ran imaging exams non-stop. There was no photo timing, and only hand processing for film. Computed or digital radiology with photo timing would have made the job much easier. Also, dictaphones were not available. The radiologist reports were written by hand, so obviously, they were short. My experience in that Army field hospital has stayed with me throughout my life. I think back on it when I occasionally hear a medical professional today complain about being busy. Then, speed was a matter of life or death. 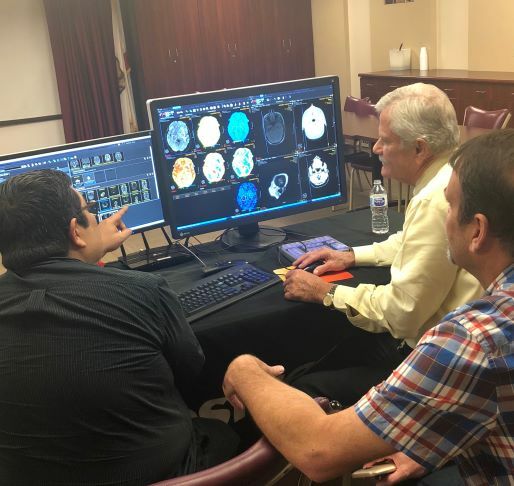 “Changes in medical imaging are impressive; I feel fortunate that I’ve had a front row seat to this fascinating industry,” said Steve Murdoch. working nights at Alexandria Hospital in Washington DC where gunshot wounds were as common as the flu. At this facility, we used antiquated equipment to do X-ray pelvimetry and double exposure for lateral lumbar spines. After I completed my service for Uncle Sam, I worked as a special procedure technologist doing heart caths and angiography at Valley Medical Center in San Jose, California. The hospital purchased a CT head scanner, one of the first available in the area. This new EMI CT scanner used a waterbag to wrap the head to eliminate the air between the head and detector. Carotid angios that used to take two to three hours could now be done with CT in only one hour! Pneumoencephalograms that took up to four hours also could now be diagnosed in one hour. We thought it was a marvel – completing CTs of the head in “only” one hour. Paper printers were used instead of monitors to input data. I recall that rolls of paper would be strewn about the floor at the end of each day. The final images were printed on Polaroid film and sent out for reading. I continued my CT work as well as special procedures at Mercy San Juan in Carmichael, California for the next 11 years. The hospital purchased an MR scanner that was an early addition for this new technology. 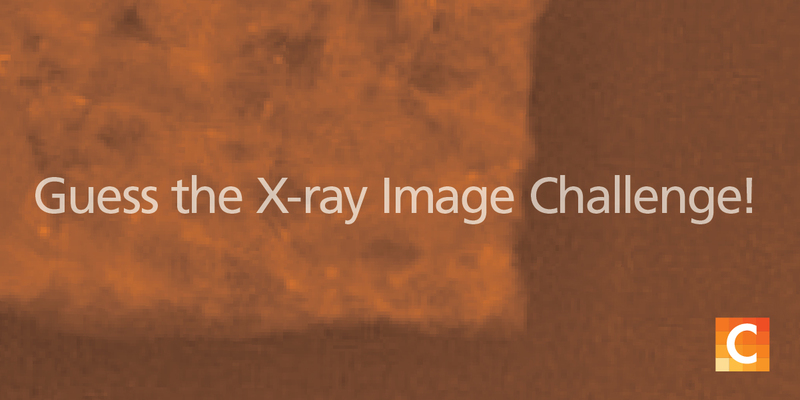 Detail imaging could now be obtained using magnetism rather than X-ray. Angio studies, CT exams, and X-rays could be examined using MR as the modality of choice. My next position was Radiology Administrator for Sacramento Radiology for the next 13 years. They had a new imaging center with state-of-the-art equipment to complement their four other offices. We were early adopters of 3D imaging and we were thrilled with the detail in the images. But it took three days for the image to be processed offsite and returned to us for diagnosis. Eventually, we purchased our own 3D workstation to do the processing on site. Facilities around the country would send us their 9-track tapes so we could process their MPR / 3D images. Processing took an hour but the results were awesome. With Carestream’s Clinical Collaboration platform, image processing is done within the PACS workstation. Today, high-end processing is done instantaneously – another big advancement that we often take for granted. And with Carestream’s solution, the processing is done within the PACS workstation. You don’t even need to move to a separate workstation! That’s a dramatic leap from the three days it took when I was working at Sacramento Radiology. My early experience in 3D imaging gave me a great deal of background knowledge on this subject; and I’ve given multiple lectures on the topic. I still find it a fascinating subject, especially when I see what Carestream is doing today with vascular imaging, cardiac imaging, perfusion, and more – all on one workstation. Natural language processing (NLP) is an area of computer science and artificial intelligence concerned with the interactions between computers and human (natural) languages; programming computers to process and analyze large amounts of natural language data. 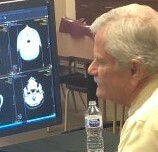 The processing can help make potential diagnosis based on pixel values from CT data to aid the radiologist. This is a growing area, and will undoubtedly have a large impact for years to come. As I look back, the changes in medical imaging are impressive; advancing the profession from using long exposures and films on the floor to today’s artificial intelligence. I feel fortunate that I’ve had a front row seat to this fascinating industry. Editor’s note: Here’s a fun fact about Steve Murdoch. Prior to enlisting in the U.S. Army, he played drums for the pop duo Sonny and Cher! *The Vietnam War is also known as the Second Indochina War, and in Vietnam as the Resistance War Against America.